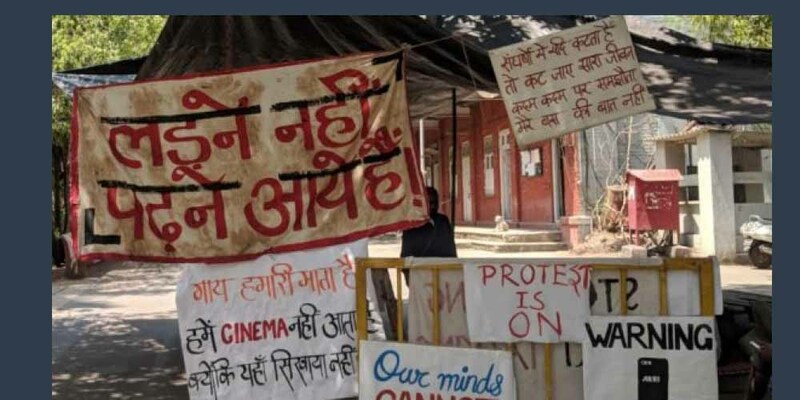 India's premier film institute is witnessing a breakdown due to a culture of fear and ideological imposition. PUNE — At the World Hindu Congress in Chicago earlier this month, actor Anupam Kher, one of the speakers, was described as the chairperson of FTIB—Film and Television Institute of Bharat, rather than Film and Television Institute of India as the 58-year-old institute is officially known. Dattatreya Hosabale, joint general secretary of the Rashtriya Swayamsewak Sangh (RSS), found nothing controversial in this: Bharat was "the Hindi translation of India". There was, however, no explanation as to why only one word in the institute's name was translated. The use of "Bharat" in the place of India offers a glimpse at how the ruling Bharatiya Janata Party has sought to bend the free-thinking culture of FTII to fit their ideological canon. Current FTII chairperson Kher's wife, Kirron, is the BJP Member of Parliament from Chandigarh, and Kher himself has repeatedly endeared himself to the ruling party—most famously by leading a pro-government march against his fellow artistes.